We offer training to family carers looking after a loved one with dementia. Family carers can either be the primary carers for the person with dementia or those indirectly involved in caring. For example, you might be worried about how a parent is coping with providing care for another family member. This Family Carer Training programme aims to develop family carers’ knowledge of Alzheimer’s and other dementia’s, and their caring skills, to enable them to respond more confidently to their family members’ needs. It also provides opportunities for carers to meet other carers and share their experiences. 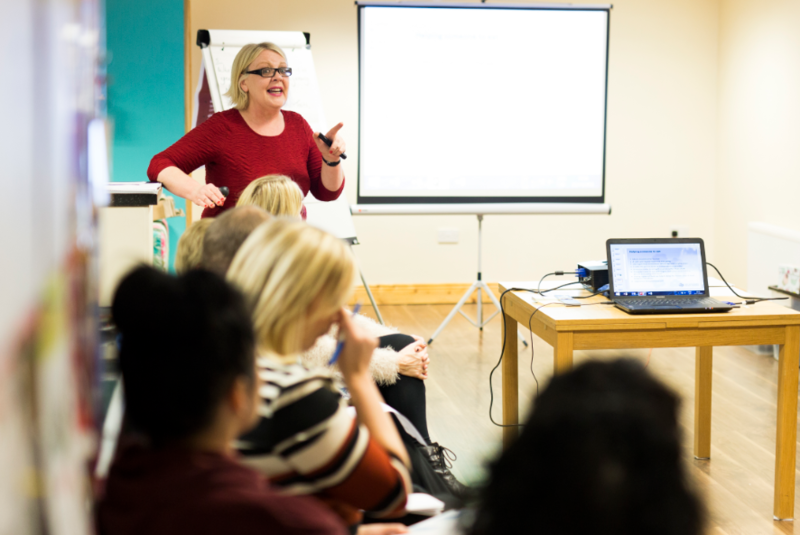 Delivered by The Alzheimer Society of Ireland’s experienced staff members, the course will provide you with new information on dementia and give you time and space to reflect on your own caring experience, whilst listening to and learning from other carers’ experiences. The course is delivered in a warm, safe environment where confidentiality of all is valued and respected. We offer the course at various venues around Ireland. They usually run in the evenings from 7.00pm to 9.30pm. Sligo – The Glasshouse Hotel, Swan Point, Abbeyquarter North, Sligo. Wednesdays 7.00pm – 9.30pm , from 10th April until 15th May 2019 inclusive. Longford – The Longford Arms Hotel, 25 Main St, Deanscurragh, Longford. Wednesdays 10am – 3.30pm, 8th, 15th & 22nd May 2019. Cork – Bessboro Day Care Centre, Bessboro, Blackrock, Cork. Wednesdays 6.00pm to 8.30pm, from 1st May until 5th June 2019 inclusive. Dublin South – Bloomfield Hospital, Stocking Lane, Rathfarnham, Dublin 16. Thursdays 7.00pm to 9.30m, from 2nd May to 6th June 2019 inclusive. Cork – Dementia Information and Support for Families funded by Crystal Project in North Cork. Located at Mallow Primary Healthcare Centre, Mallow, Co. Cork. Wednesdays from 7.00pm to 9.00pm from 22nd May 2019 for 6 weeks. If the course is of interest to you, please download this Course Application Form and return it by email familycarertraining@alzheimer.ie or to the Training Department, Temple Road, Blackrock, Co Dublin. Alternatively click here to complete the form online. We are also now recruiting for our Online Family Training Carer Course called Home-Based Care-Home-Based Education. This will feature the exact same content as the face-to-face course but it will be held exclusively online and can be completed from the comfort of your own home. Places are strictly limited. If the course is of interest to you, please download this Course Application Form . Please complete the form and return it by email to familycarertraining@alzheimer.ie, or by post to The Alzheimer Society of Ireland, Training Department, Temple Road, Blackrock, Co Dublin. Members of our Learning and Development team, Julie Greene, Christine Carr, Fergus Timmons and Davina Smith with our Bronze Award which we picked up at the Learning Technologies Awards in London in November 2017. 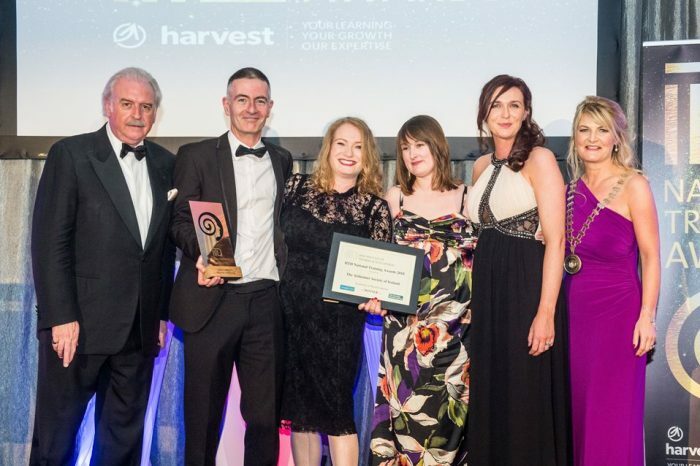 The Award was in the Category of Best Online Distance Learning Programme and was recognition of The Alzheimer Society of Ireland’s Home-Based Care-Home-Based Education online course for family carers looking after a loved one with dementia. The course was one of the products of our Erasmus+ project which ASI coordinated, and featured partner organisations from Belgium and Norway. The course has proven to be a great success, and features the same content as the face-to-face course, but is held exclusively online and can be completed from the comfort of your own home. The award was made at the prestigious Learning Technologies Awards 2017 in London on Wednesday night. This is a fantastic achievement and to put this in context, these awards receive more than 400 entries from all over the world. It total, 30 different countries took part and the event was attended by over 800 people. 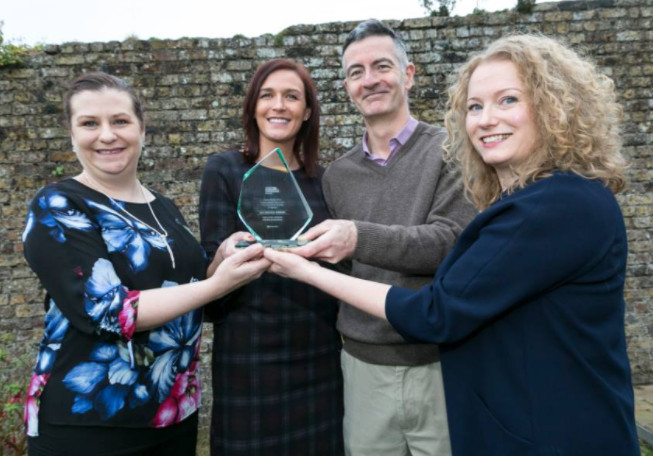 The Alzheimer Society of Ireland won a National Training Award for Excellence in Digital Learning at the Irish Institute of Training and Development (IITD) Gala on Friday, April 20th 2018. The prestigious honour which is in recognition of the Erasmus+ funded Home Based Care – Home Based Education online training course for family carers looking after a loved one with dementia, is the first time ASI have won a national training award. It comes on the back of winning Bronze for Best Online Distance Learning programme at the Learning Technologies Awards in London in November 2017. ASI fended off some strong competition in the category of Excellence in Digital Education from organisations such as FDB Insurance, Sun Life Financial, the Public Appointments Service and Ulster Bank. I have been working with the Alzheimer Society since 2007. I came to the Society from a HR background, having worked in IBEC for many years. My mother had Lewy Body dementia and together with other family members I was closely involved in her care. From this experience, I had an awareness of the demands of dementia care and the unfortunate dearth of services for families in Ireland at that time. I established Rose Cottage in 2008 as a drop-in facility for persons with dementia. Sadly, our clients are increasingly younger with a number now in their early 50s. For this reasons, we place a strong emphasis on providing meaningful activities. This year, we introduced a number of new outdoor activities, including gentle hill-walking in the Dublin and Wicklow mountains. South Dublin County Council kindly gave us a large allotment in Tymon Park in Tallaght and we now have a gardening programme for persons with dementia every Friday morning. The work done by the clients on the allotment has been extraordinary. We hope that next year, we will be ready to produce our own salads, fruits, herbs and flowers for the centre and for the clients to take home. I began training family carers on the Family Carer Training programme in 2009. It is a fantastic project and one that I believe can really change the day to day lived experience of the person with dementia. I love meeting family carers as a group and seeing how their perspective of dementia gradually changes over the course of the six week programme. Since 2015, I have been facilitating a monthly Support Group for persons with dementia in Dublin City Centre. This is my ‘training’, the place where I learn about dementia and learn about the real care needs of people with the condition. The support the members of the group offer one another is really extraordinary. Each time we meet, I am amazed at their great strength and desire to remain positive about life and, in particular, by their humour. I hope I can continue to be involved with the various ASI projects that support persons with dementia and their families in the years ahead. Since I joined the Society in 2007, there has been a growing awareness around dementia in Ireland due in no small part to the work of ASI. It has been a pleasure and a privilege to have been part of that. 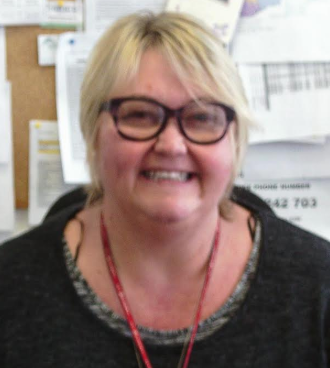 My name is Maeve Quigley and I have worked in The Alzheimer Society of Ireland since 2006, I began my journey working with People Living with Dementia, through Community Employment .I gained employment with the Society in a full-time position in March 2009. I have worked in Cairdeas DC, Le Cheile DC, Failte Dc and Homecare, I work at present as a Manager in Fingal DC and am loving the challenges this brings. In March 2017, a job advert within the ASI caught my eye, The position was to train families who are caring for their loved ones at home, to help in day to day challenges and informing them about nutrition , challenging behaviours, activities, communication. I applied and much to my delight I was asked by the Training Manager Fergus Timmons, if I would be available to facilitated the up coming Insights into Dementia, Informing & Empowering Family Carers Training. I commenced on 18/03//2017 for 6 weeks, I met some wonderful families who are living with loved ones who have Dementia. The families that came to the Training where dealing with different stages of Dementia from Early to late stages, the information they had to help one another and advise one another was eye opening to me, the little tricks they shared with the group was a benefit to me as well as the other families. The first Training I was nervous but didn’t show it as these families were looking to me for support, advise and help. We had laughs and tears but the support around the room was incredible. On the final evening we had a run through all the previous weeks, the families received their certificates, we had lovely tea and cakes, I have started another journey within the Society and I’m delighted to be able to support the Families. 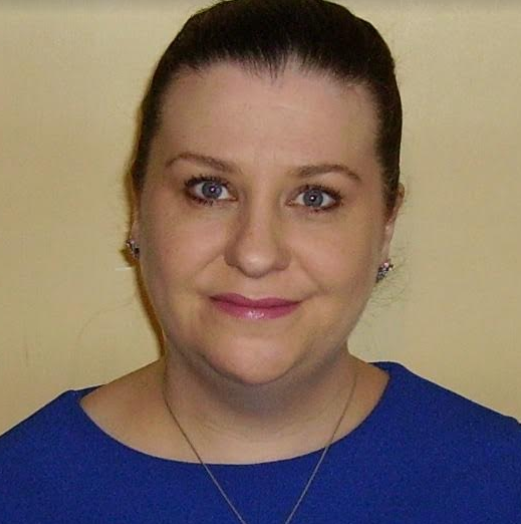 Hello, my name is Julie Greene and I am currently a Tutor for the Alzheimer Society of Ireland, facilitating the Family Carer Training and Dementia Training for Staff. Becoming a Tutor for the ASI has been a great personal experience for me. The biggest plus has been the people I have met. During Family Carer Training I met a lot of people from different walks of life, each touched by someone they love having Dementia. My own personal experience of dealing with a family member with dementia has allowed me to better understand what carers go through. At the start of the first evening session most people were quite reserved, but by the end of week 5 we could have done with a weekend away so everyone could share all their stories and experiences. It was emotional at times and the odd tear was shed but there was also a lot of laughter and humour too, especially as the group opened up more. Being there and being able to help, even in the smallest way possible, was a very rewarding experience. Initially, I was more apprehensive about tutoring staff. I had images from old, of my own years working as a student nurse, sitting in training trying hard to stay alert!. Fortunately, I had no need to worry, all members of staff I met were engaging, interested and eager to learn and happy to share their personal experiences. My own experience of working in the health sector allowed me to relate better with the staff. The diversity of staff from day care, home care, bus drivers, mangers and cooks was brilliant and I also learnt so much from them. I can honestly say I have enjoyed this role very much and would like to thank a few people who have helped me on this journey. Firstly Fergus Timmons, Christine Carr, Christine O’Rouke (fellow tutor) and all the staff and families I have met along the way that have made my job so enjoyable.